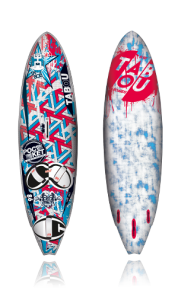 The best equipment for your windsurfing holidays by Tabou – Gaastra Vandal and MA boards! The Freetime are our school and kids’ sails. The Dacron version is pretty much bulletproof, which for a school rig is essential. The Fox are our kids’ sails. Waiting for the talent kid that can handle a more advanced sail in specific size with the boom not as high as the normal sails! The Pilot is our entry point freeride sail. It has all the high-grade features you would expect to find on a GA sail. The simplified design ensures that anyone from a complete beginner and beyond will enjoy its effectiveness. The Matrix is our freeride favourite! Each size is equipped with 6 battens and no cams, combining a light gentle rotation with a strong secure skeleton, which provides forgiveness for a novice rider and exhilaration for the expert. The Pure is the very best performance freestyle sail for any sailor looking to improve their sailing level. It has long been regarded as the benchmark sail in its category and the chosen weapon by many of the top professional sailors on the world tour. Super light in the hands and an even balance imparts the sailor with maximum control while attempting their tricks. The Guru gets you on the water and gives you simple fun! The Twister boards give every rider the chance to stop thinking about the board to focus on landing new moves. The Rocket 115 get going fast more easily while still having a high top speed. 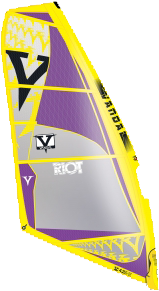 The added width makes the boards work with bigger sails and lighter winds, plus more stable for jibes. The SUPAWIND´s are the ultimate paddle- and windsurf board combination, as they cover rides with a paddle or rigs with ease. 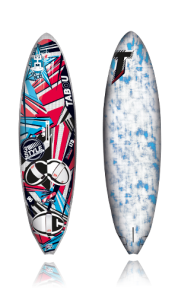 These Classic SUP shapes come with a center fin option for improved windsurfing performance. Hand made cnc shapedboards, carbon innegra construction 25% lighter..
Hand made cnc shaped boards, carbon innegra construction 15% lighter..